Each Wave we dance is a uniquely personal, embodied journey of transformation. As our relationship with the Rhythms in those Waves becomes more intimate we find that inside each Rhythm there are endless Waves waiting to be released. Deeper awareness expands our relationship with each Rhythm — the ones we love, or the ones we resist — on the dance floor and in our lives. We add new dimensions to the familiar, and open up to embrace the foreign through the gateways of the familiar. We can learn to fluidly waltz with our boundaries instead of putting up barriers, bring clarity to our wanderings, shatter our expectations into unexpected possibility, bring ease to effort. To be the beginning inside of every ending. A non-refundable 50% deposit is required to hold your spot (after the Early Bird deadline). If you have paid in full and need to cancel, you will receive a 50% refund until February 5, 2015. Sorry, no refunds after February 5, 2015. A Gabrielle Roth 5Rhythms® Waves workshop is the foundation of the entire body of 5Rhythms® work in which we expand our class work with a deepened physical expression and knowledge of the essential 5Rhythms® and their polarities. 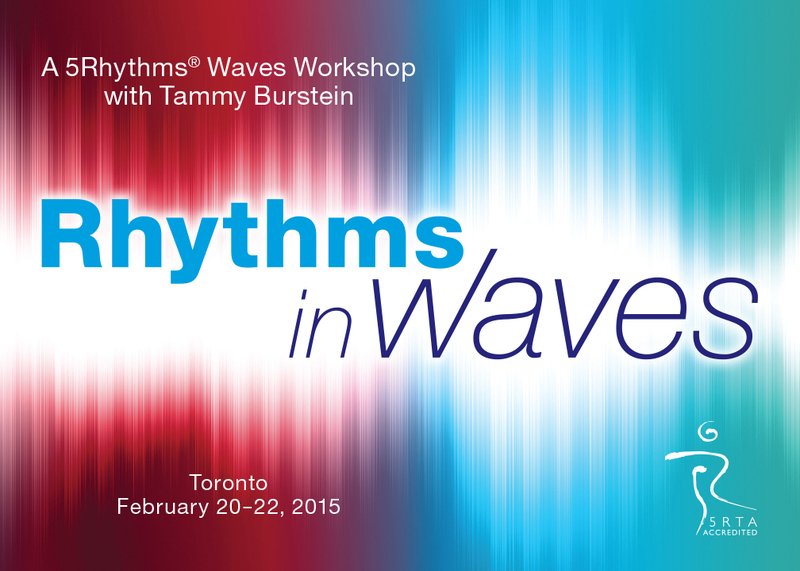 All hours of this workshop count toward 5Rhythms® Teacher Training Waves prerequisites. Tammy started practicing the 5Rhythms® in the 20th century, emerged as a 5Rhythms® teaching at the dawn of the 21st, and has been living them since before she knew they existed. She is an urban life-form who makes New York City her home base and soul inspiration. An itinerant wonderer she is a 5Rhythms® Global NY and 2014 5Rhythms® Teacher Training staff member teaching the Waves (2001) and Heartbeat (2010) maps locally and globally. She has made her living as a dancer, a lighting designer, a travel agent, and a librarian. She creates her life dancing the 5Rhythms®.